Sheridan High School art students are sending their love, gratitude and cheer to troops around the world this holiday season. 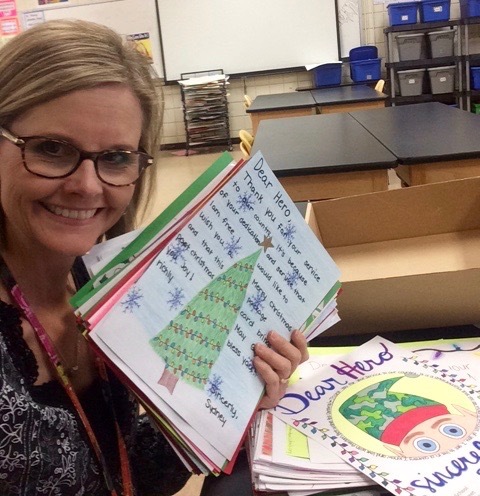 This week, the art students mailed approximately 175 cards of thanks and holiday wishes to Operation Gratitude in California. The cards will be inserted into care packages that will be sent to troops around the world before Christmas. The students were excited about the project and some are being affected personally by having family deployed during the holiday season. "It was a worth while project, and we got to share our artwork," said SHS Art Teacher Leann Whitmire. "I am so very proud of them and proud to be able to send this love and cheer from our little town of Sheridan."